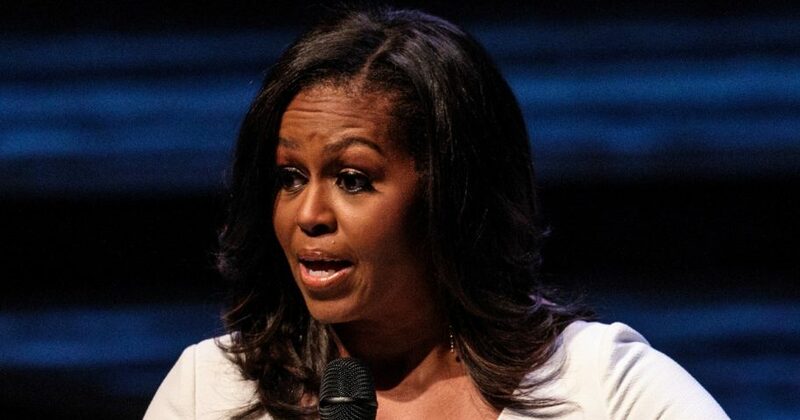 Former first lady Michelle Obama continues to publicly preach about the importance of morality that, according to her, was an essential part of her husband’s presidency and is now being tossed away by his successor. Sorry, Mrs. Obama, but what you are talking about here is etiquette and manners. While they’re certainly a part of morality, they’re not crucially essential ones. Furthermore, they are definitely secondary to moral leadership. I have no doubt that at the level of basic, face-to-face human civility and courtesy, the Obamas are some of the most charming and friendly people you could meet. I am sure they have the most exquisite manners and are pleasant to be around. Does that, however, make them moral leaders, and did Barack Obama conduct a moral policy? And is Donald Trump an immoral leader because his off-the-cuff remarks cause outrage among the nervous Nellies on the left? First of all, let’s set the record straight on what morality is, and how it is connected to politics. The very basic definition of morality is the differentiation of intentions, decisions and actions between those that are distinguished as proper and those that are improper. Ideas of humanism, or the recognition that every human has inherent value, is a core idea of universal morality. Western civilization was founded on Judeo-Christian morals that constituted so-called American civil religion, based on the sacred texts of the United States Constitution, along with the Declaration of Independence and the Bill of Rights. Americans embrace a common “civil religion” parallel to, or independent of, their chosen religion. In other words, moral American leadership can be measured by its Americanism, and strengthening of the American way of life at home and abroad. And here is where Barack Obama falls behind. First of all, he undermined the American economy and, thus, the prosperity of Americans with his unprofessional approach. It is true that he took office during a dreadful recession. He tried to curb it with a “stimulus,” for which he spent more public funds than all previous stimulus programs combined — and got ambiguous and counterproductive results. Americans got poorer: millions fell below the poverty line, the number of food stamps soared. National debt hit a historic high of $20 trillion. In 2008, 63 percent of Americans considered themselves middle class vs. 51 percent who felt the same way in 2015 — and nearly 70 percent in 2018! Also, under Obama, annual GDP growth since the recession ended averaged a feeble 2.1 percent, end even less than 2 percent during his last year in office — by far the most pathetic economic performance of any president since World War II. Under Trump, real GDP increased at an annual rate of 3.5 percent in the third quarter of 2018, according to the Bureau of Economic Analysis. In the second quarter, real GDP increased 4.2 percent. Real median family income didn’t budge from August 2015 to November 2016, according to Sentier Research. It’s up more than 4 percent since Trump took office. While most of the establishment media continue to underreport Trump’s achievements, stock market investors continue to vote with their dollars — proving that Trump’s policies benefit the economy. With earnings high, growth robust, wages up, and unemployment at historic lows, investors are eager to participate in this roaring success without checking with Jim Acosta. So which leader is moral? Which one promoted the American Dream more effectively? There are other purely immoral things that Obama is infamous for — like his support of the group, Black Lives Matter, which openly calls for the killing of police, instigates riots and harasses ordinary white people on the streets; violation of the freedom of press and spying on members of press; “Fast and Furious;” mass surveillance of Americans; institutionalization of drone strikes that kill civilians along with terrorists in the Middle East. Then, there’s his failed foreign policy. Obama was barely elected president when the Noble Peace Prize landed in his lap before he could even do anything to deserve it, but he accepted it anyway. In a bitter irony, he ended up leaving the world less safe. A premature withdraw of U.S. troops from Iraq and Afghanistan was one of the factors that caused the Arab Spring with its wave of bloody large-scale religious conflicts, insurgencies and civil wars. This, in turn, created a fertile ground for the widespread rise of the Islamic extremist and terrorist groups, including ISIS. In contrast, during the first year of Trump’s presidency, ISIS was set on retreat, losing nearly all of its territory in Iraq and Syria, and resource bases that generated the lion’s share of its income. Most tragically, Obama’s Middle Eastern mistakes cost the lives of the U.S. embassy officials, including Ambassador Chris Steven’s. As a wife, Mrs. Obama does it all right, supporting her husband. As a public figure, she is hypocritical with her deceptive doublespeak. Moral leaders make America great again, even if they may be rough around the edges. Immoral ones do not even consider America great, no matter how well-mannered they are.